A majority of ObamaCare customers, 52 percent, are being forced to pay back some of their subsidies during this year’s tax season, according to new data from H&R Block. Customers are paying back an average of $530, which has caused a 17 percent drop in the average return so far this spring, according to the analysis by the tax services giant. The Obama administration had warned that people could end up paying back some of their subsidies because many were relying on previous years’ income when applying for the tax breaks.H&R Block has predicted that “most filers” would owe some of their subsidies back to the federal government because they were relying on 2012 income. 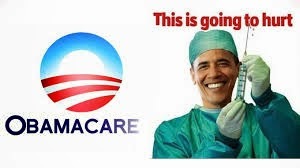 Without the subsidies, Obamacare is a very poor deal for most people.